The Mississippi Museum of Art in Jackson, Mississippi opened to the public in 1979. The Museum's permanent collection includes American painting, photography, drawings and prints, sculpture; pre-Colombian artifacts; and American Indian baskets. The collection also highlights art created by Mississipi natives such as Eudora Welty and Valerie Jaudon. The Mississippi Museum of Art in Jackson, Mississippi was established in 1911 with the formation of the Mississippi Art Association (MAA). In 1926, the Municipal Art Gallery housed the initial art collection of the MAA. During the early 20th century, the MAA was active holding exhibitions, art classes, teacher workshops, and various other events. By the mid-1950s, the MAA worked hard to secure an art museum for Jackson. After much effort undertaken by local artists and arts organizers, the Mississippi Museum of Art finally opened in November 1979. In 2007, the Museum was renovated and in 2010, the Art Garden, a 1.2-acre park, opened. "an inviting public space that offers relevant and meaningful cultural experiences to both the Jackson community and the state of Mississippi." 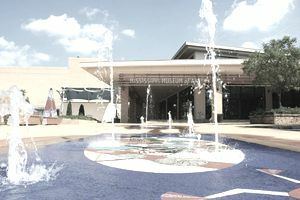 The Mississippi Museum of Art in Jackson, Mississippi is located downtown alongside Thalia Mara Hall and the Jackson Convention Complex. Please refer to the Museum's website for specific directions. The Mississippi Museum of Art in Jackson, Mississippi maintains a permanent collection, so it requires the services of art conservators, who are trained to research, restore, and conserve the works of art for future generations. The Mississippi Museum of Art's collection includes work by artists such as Albert Bierstadt, Arthur B. Davies, Robert Henri, George Inness, Georgia O'Keeffe, Reginald Marsh, Thomas Sully, and James McNeill Whistler. The Mississippi Invitational began in 1997 and is a survey exhibition highlighting "recent developments by contemporary visual artists living and working across the state, and includes work in diverse mediums." Selected artists of the Invitational can also apply for The Jane Crater Hiatt Artist Fellowship, a $15,000 grant used to create new work. The Mississippi Museum of Art in Jackson, Mississippi does not post employment opportunities on its website. However, the Museum posts internship opportunities which may become available in the various museum departments such as administrative, educational, conservation, curatorial, marketing, sales, security, and visitor services. The Mississippi Museum of Art in Jackson, Mississippi does not post jobs on its website. If interested in working at the Museum, call or email first to inquire if there are any job openings.